Under the new plan, four seniors and two underclassmen will be grouped as homecoming royalty, regardless of gender, during the homecoming game on Oct. 11. My response was edited for the story, but its primary reaction was as follows: "I understand the need to maintain tradition. However, this step taken was one made in the right direction. See this includes all kinds of students regardless of gender or sexual orientation. (On air) The administration who took this initiative probably received negative backlash however they have truly saved lives. Students feel loved, accepted, and truly seen. I mean all students." Of course, we agree with Yadi, but we also loved how they expanded on the topic on Facebook, reflecting on their experience as a long-time youth minister. People talk about wanting to work with LGBTQ students, but that means taking the time actually to listen to them. In the past, I used to host (along with fellow youth activist) a prom where we crown King, Queen and In-Between royalty. We did not tell the students in what category to sign up for and encourage them to be free. My favorite part besides the dance was the pre-party. With the help of the community we had a person who did nails and hair. We also got dresses, and tuxedos donated. To see the joy of these students coming in to change and get all 'pretty up' was priceless. It was the most amazing three years of royalty I lead with pride. Thanks, Yadi, for listening to our youth of all genders! 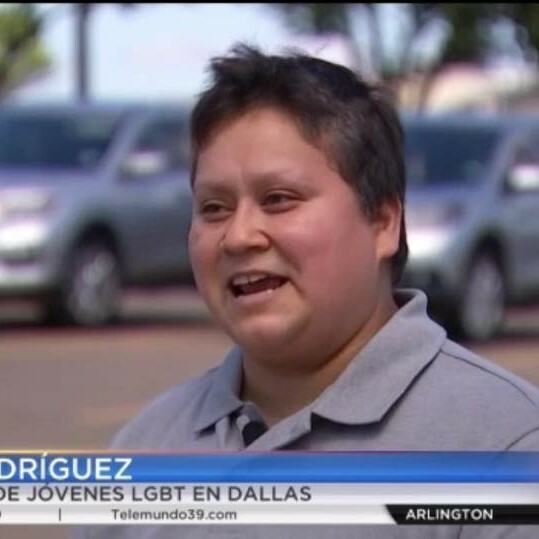 Yadi is youth minister at New Church UCC in Dallas, TX and a seminary student at Brite Divinity School. They currently serve on the Transfaith Board of Directors.